Paul V. Braun, professor of materials science and engineering, has been selected for a “Friedrich Wilhelm Bessel Research Award” from the Alexander von Humboldt Foundation. Braun’s research focuses on understanding and exploiting self- and optically directed-assembly for the synthesis of highly functional nano and microstructures. Through this approach, Braun has created unique 3D optical devices, advanced rechargeable batteries, self-healing coatings, and 3D biological scaffolds. Braun’s efforts crosscut many of the major subdisiplines of materials science and engineering, including polymers, ceramics, semiconductors, metals, and biomaterials. Some highlights of his work in the last few years include the first: demonstration of 3-D waveguiding in photonic band gap materials; self-healing polymer coatings; multiphoton fabrication of 3-D inorganic photonic crystals; and formation of ultra-high power density rechargable batteries. He has published more than 100 papers, and is co-inventor on 10 patents and patent applications, including several which are licensed by Autonomic Materials Inc., a company he co-founded with other faculty at Illinois to commercialize self-healing materials. Braun received his BS degree, with distinction, from Cornell University, and his PhD in materials science and engineering from the University of Illinois in 1998. Following a one-year post-doctoral appointment in the Condensed Matter Physics Research Department at Bell Labs, he joined the Illinois faculty in 1999. He currently holds a primary appointment in the Department of Materials Science and Engineering, and is affiliated with the Beckman Institute, the Frederick Seitz Materials Research Laboratory, the Micro and Nanotechnology Laboratory, and the Department of Chemistry. Braun is the recipient of a Beckman Young Investigator Award, a 3M Nontenured Faculty Award, Robert Lansing Hardy Award from TMS. His teaching has been recognized through numerous appearances on the Incomplete List of Teachers Ranked Excellent by Their Students, MatSE’s Burnett Teaching Award, and the Accenture Engineering Council Award for Excellence in Advising. 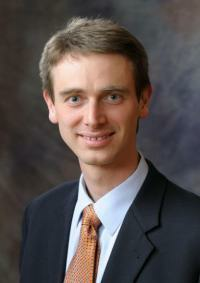 He has received the Willett Faculty Scholar Award, Xerox Award for Faculty Research, and the Stanley H. Pierce Award from the College of Engineering, and in 2006, Braun was named a University Scholar by the University of Illinois. The Humboldt Foundation grants up to 25 Friedrich Wilhelm Bessel Research Awards annually. Scientists and scholars, internationally renowned in their field, who completed their doctorates less than 18 years ago and who in future are expected to continue producing cutting-edge achievements which will have a seminal influence on their discipline beyond their immediate field of work, are eligible to be nominated for a Friedrich Wilhelm Bessel Research Award. Award winners are honored for their outstanding research record and invited to spend a period of up to one year cooperating on a long-term research project with specialist colleagues at a research institution in Germany. If you have any questions about the College of Engineering, or other story ideas, contact Rick Kubetz, Engineering Communications Office, 217/244-7716, writer/editor.